If you’ve been blogging for a while, you’re SEO is on point but you still aren’t receiving any visits via Google, you may be blacklisted. This is what happened to my cousins. My cousins who have been blogging for a few decades became despondent and were thinking of throwing in the towel. Despite writing regularly (much more than me) they were not getting any visits outside of Twitter and Facebook. I was surprised because a lot of their content is evergreen and I imagined their blog would rank well in Google but it didn’t. Search engine traffic had dropped off early in 2014 and no one knew why. Doing a search for Google using a page title unique to the site turned up no hits on the first five pages. I even did a search for a sentence from an article with the same result. Clearly there was no love coming from Google anymore. Armed with their passwords to everything I decided to take a look. 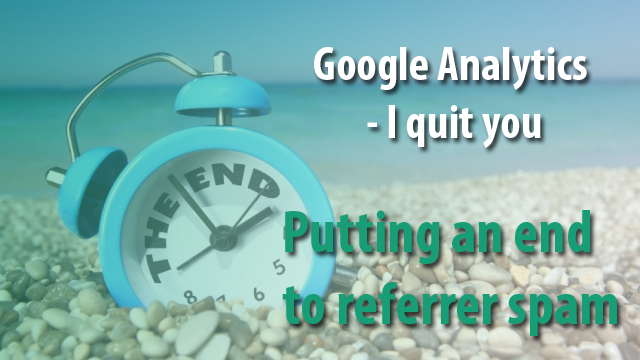 A quick check in at Google’s Webmaster tools showed 50+ 404s. Although Google says that having 404s doesn’t hurt your site, these errors had been there for almost a year. My cousins purchased a new domain and moved a whole section of the site permanently. Nobody thought to redirect the URLs. That’s not so bad though as their site is run on WordPress so anyone coming across the deleted old URL would be served up a page of useful information. But just in case this was harming them, I used the Redirection plugin to create 301 (moved permanently) redirects to the new site which surprisingly was getting more traffic than its big sister. Along with old pages they had deleted some tags and categories as well and Google still had these listed so I resubmitted their XML sitemaps. The 404s weren’t the real problem though. There site was not being crawled by Google at all. When I looked at their Google Analytics I saw when traffic started to drop off, so I asked them what they did differently back then. In order to increase their readership one clever soul decided to sign up for Zimbio.com two years prior to the drop off. Zimbio used to aggregate content from blogs submitted by its users. Articles would be imported from a blog and filed under one of Zimbio’s varied subject categories. This was supposed to help blogs reach a wider audience and drive more traffic to user sites. This didn’t happen for my cousins and here is why: Despite what Google says about duplicate content, it will penalise you for it. Duplicate content is any block of text that says the same thing or nearly the same thing as another block of text. I’ve seen people who guest post on blogs copying their content in its entirety on their own blog as well. This doesn’t do well to the site with the lower rank. If guest blogging you are better off just having a few paragraphs on your site and a read more that points to the entire article on the site you are guest posting on. As Zimbio is a large site that ranked better in the search engines, Google crawled it first. So by the time Google got around to visiting the cousins’ site it would consider the content as copied or duplicate content. Over 300 articles had been posted to Zimbio over 2 years. The quality of their content wasn’t the big issue, the fact that their content was replicated over on Zimbio was a major problem. So as you can imagine all that duplicate content made my cousins’ site appear blatantly spammy. As search engines are just machines, they saw Zimbio as the originator of the content. Despite operating on the same domain for 20+ years, the site lost it’s search rankings and disappeared following one of Google’s spam algorithm updates. Just like Michael Weston from Burn Notice, my cousins website had been burned! Zimbio stopped aggregating user content in 2014 but it was too late for my cousins. When you’re burned, you’re burned! The domain name was mud in the eyes of Google so we decided to take drastic measures and moved the whole site to the new domain. Within a month of switching, the site started receiving visits from Google for the articles that it refused to show on the old domain. Month on month visitors to the site increased. The content hadn’t changed, just the domain. And because Zimbio had deleted all the pages that it had aggregated from it’s unsuspecting users, the content was no longer seen as duplicate content. So yes, duplicate content does matter. If you don’t want your site to be seen as spammy make sure your content isn’t being duplicated anywhere else. Also make sure nobody is copying your content. If you’ve ever been blacklisted by Google and recovered and retained the same domain name, I’d be interested to know how you did it. Hit me up in the comments. It seems easier to recover from a blacklist if it’s because of malware or bad inbound links. Once you cleaned up the malware or disavowed the links You can get back into Google’s good graces. If you’re cousins were willing to delete all the duplicate content they probably would have got back in with Google but all their hard work would have been wasted and maybe a little too drastic. I imagine a lot of websites got hit by posting to Zimbio. Lessons learned. If they had to delete all that content, I would never have been able to persuade them to keep writing. As it is, one of them gave up anyway. Lessons learned indeed.